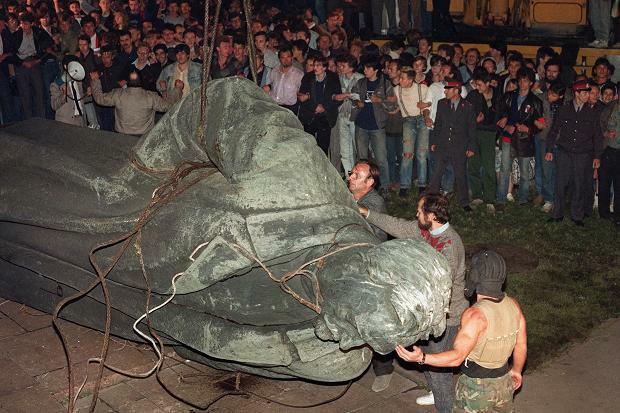 In 1991, while a Communist counter-coup was being repressed in Moscow, jubilant crowds pulled down a statue of Felix Dzerzhinsky which had stood in front of the KGB headquarters building, the Lubyanka. Despite his nickname, it had been made of bronze, lest a Hero of the Revolution turn rusty. Note that it was a spontaneous demolition by plain people, not by the tanks of an invading army as in Baghdad twelve years later. Four years after Lenin and his Bolsheviks seized power in 1917, Russia was still an economic basket case; agriculture and industry had been ruined by one government under Tsar Nicholas II, and the ruin was kept in place by the new one by its suppression of a free market. Starvation had continued, and when food was stolen on Lenin's orders, the peasants who had grown it naturally protested. With his “people's” revolution on the point of unraveling, Lenin's Politburo responded with two decisions: to crush the rebels, and to implement a “New Economic Policy.” The NEP was in essence a confession of failure of Marxist economics, that collectivism doesn't work. It didn't work in Plymouth in 1621, it didn't work in China in the 1970s, and it will never work anywhere--for it attempts to flout human nature, part of which is to enjoy the fruits of one's own labor. The NEP was announced sotto voce, at the end of the 10th Party Congress, as if the delegates knew of that failure full well. From then on, peasants were allowed to sell their produce on the open market, and be subject to taxation rather than outright confiscation of the produce. It is of course the same difference, but it looked better to hand property over to a bureaucrat rather than have cart loads of wheat removed at gunpoint from the farm yard. Apparently the NEP did cause a big increase in harvests – but not immediately. The problem was that, anticipating confiscation of their produce, much less seed had been sown; why bother? So the NEP was too little, too late, for 1921. It did produce food for the rest of the 1920s, then in 1929 it was replaced by a series of fictional works called “Five Year Plans.” Those didn't work either, and led to Stalin's holocaust, in which seven million peasants died. 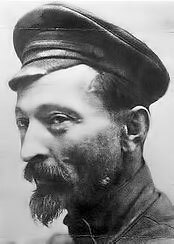 "We will make our hearts cruel, hard, and immovable, so that no mercy will enter them . . . . For the blood of Lenin [who had been wounded in an attempted assassination by the Menshevik Dora Kaplan] and Uritsky, Zinovief and Volodarski, let there be floods of the blood of the bourgeois--more blood, as much as possible." Any family that has harbored a bandit is to be arrested and deported from the province, their possessions are to be seized, and the eldest son is to be executed immediately. These orders are to be carried out vigorously and without mercy. We can notice that #1 above makes the German Gestapo look benevolent, #2 makes the British raiders on Concord seem gentlemanly, and that they all clearly indicate where “gun control” will eventually lead if any government is resolved to monopolize the ownership of firearms. The seven can readily be typed on a single sheet, and I know of no page that more clearly expresses and summarizes the true nature of government. This is the iron fist, inside the velvet glove. This is what American governments will do, if push were to come to shove. Power admits no limit. So it is, of course, all about gaining and preserving power. This is the kind of savagery to which any government will certainly resort, if its grip on power is violently challenged. Even if violent resistance to government were not on its face a betrayal of libertarian principles, a shameful use of the enemy's own primary weapon, it would eventually draw out this kind and degree of brutality – and then fail anyway. There is only one way to terminate government, and that's peacefully to undermine it by persuading its employees to leave their jobs. * Source: The Black Book of Communism. Strongly recommended . . . with Dramamine. I should post this list of directives over my doorway. What an amazing summary of what government is. One-hundred and twenty-seven reviews of this book were made, 16 were one star rating. The first I read was by histbuff and his review was excellent. Given the price of $56 for the book was not within my interest, however, histbuff definitely directed my attention away from the text and suggested Richard Pipes and Robert Conquest as better authors to cover the evil of communism. No doubt, however, some people will find this book to be of extreme interest for it did carry a larger number of positive reviews. Good luck.